The communication landscape has shifted to a preference for chatting and texting. But businesses haven't kept up. In fact, less than 1% of companies are able to automatically communicate with customers via Facebook Messenger. Yet 55% of consumers are interested in interacting with a business using messaging apps! Facebook Messenger represents one of the greatest untapped growth marketing channels of the next few years. 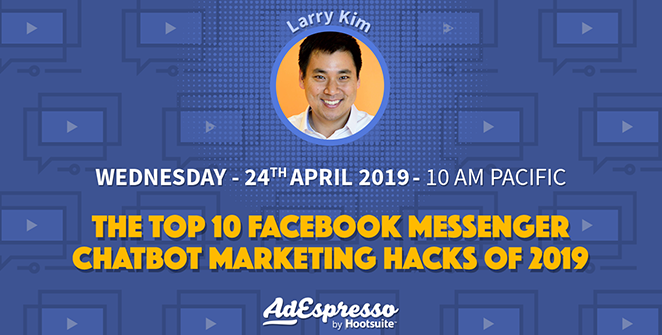 This exclusive training session is being hosted by Larry Kim, CEO of leading Facebook Messenger chatbot Mobile Monkey. Can’t make it or want to watch it again? No problem! We’ll be sending you the recording shortly after the end of the webinar.